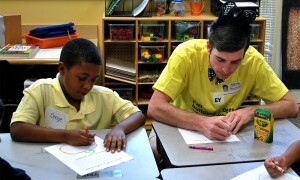 Becoming a CISDR volunteer is a fun and rewarding way to have a positive impact on the life of a child. Each year, CISDR works with more than 1,000 corporate and community volunteers who provide thousands of hours of service to our students and their families. Once you clear a criminal background check, share with us your strengths, passions and campus location to grade level preferences to better match you to a student who can’t wait to meet you! 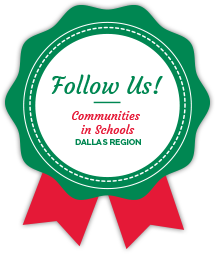 For more information, email us at ConnectCIS@cisdallas.org. GEMS students use experiential learning opportunities to strengthen their interest and skills in Science, Technology, Engineering and Math (STEM) academic areas. 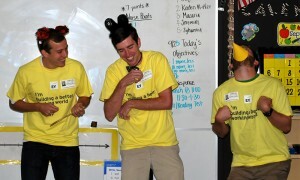 Volunteers serve as guest presenters/speakers, for job shadowing, or simply as helpers during the group meetings. CISDR has several annual events or projects that require volunteers. These include Community Luncheons, the CISDR Golf Tournament and our holiday toy drive. Duties for these events may include greeting, assisting with registration, set up, and clean up after an event. Projects duties may include organizing, sorting, and labeling. CISDR campus staff is involved in additional activities throughout the year which may include working with larger groups (i.e. corporations, small businesses, etc.) to conduct career fairs, field days, holiday parties, field trips, job shadowing, large groups, service learning projects, career panels, and college visits for students.